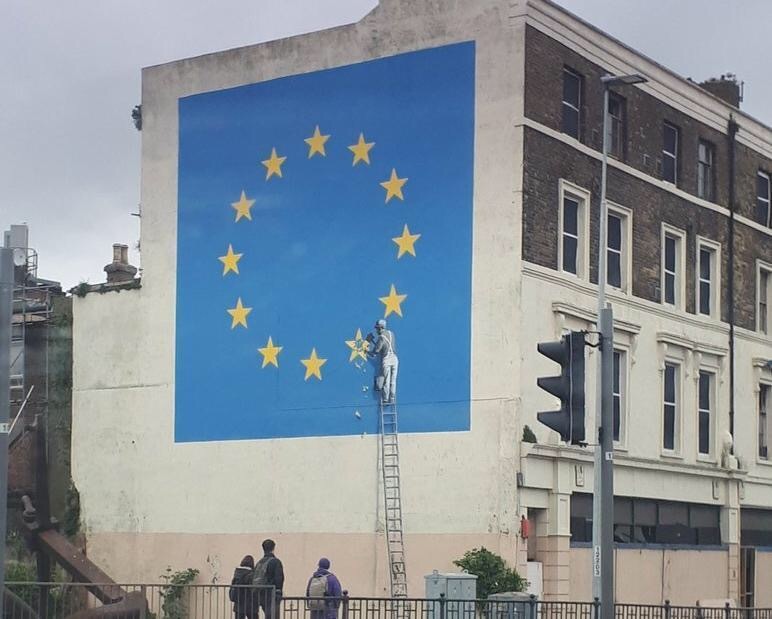 Yesterday a new mural appeared in Dover, UK. Its on the A20 near the ferry terminal. The mural is three-storey tall and shows the European flag. A workman is removing one of the 12 stars. It is not that hard to guess what has been the inspiration – BREXIT. This work is one of Banksy’s largest murals. Spokesman for Banksy confirmed that this artwork is his. 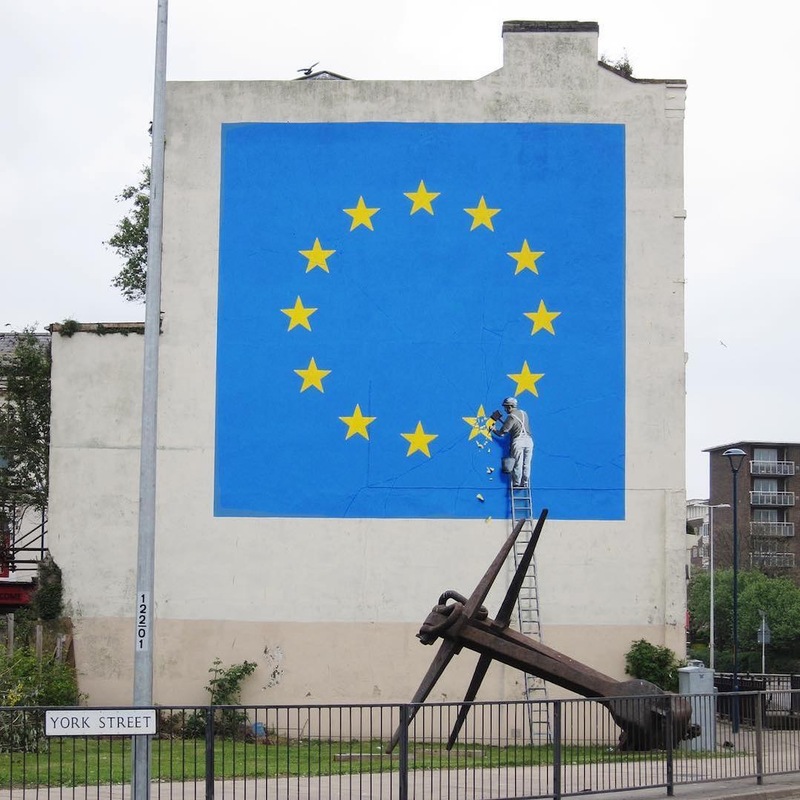 This mural comes in a time of change for Europe. While Britain decided to get out of the EU, France had a big election yesterday. Le Pen is out and Macron won, so for now France stays in the EU. It is an interesting move that Banksy painted this mural in the night right before the election in France. We will see what the future holds. 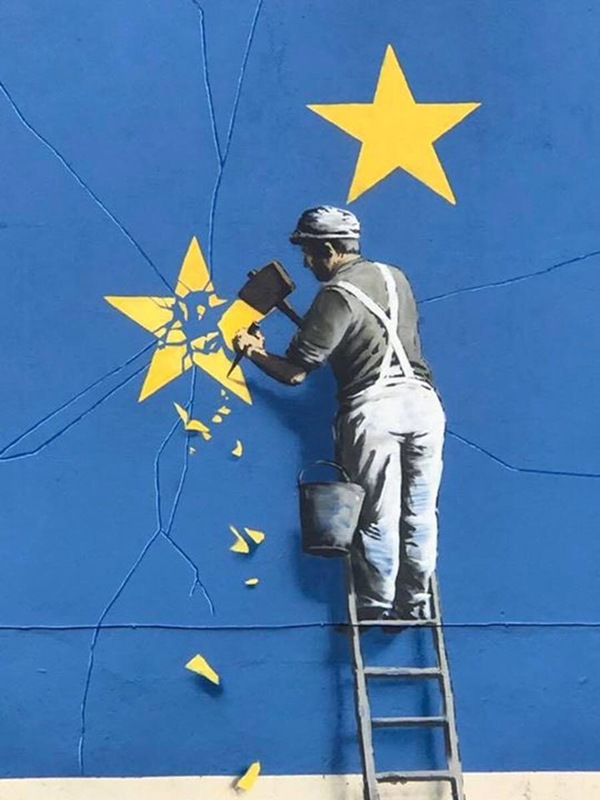 Veröffentlicht in Graffiti, Murals, Projects, Uncategorized, urban artGetaggt mit banksy, brexit, europe, Mural, streetart, uk, urbanartBookmark the permalink.